The 2016-2017 AOCS Governing Board election voting period closed on February 15th and we are pleased to announce the results: Blake Hendrix as President, Neil Widlak as Vice President, Len Sidisky as Secretary, and Gerard Baillely, Roberto Berbesi, Phil Kerr, Grant Mitchell, Magdi Mossoba, and Dilip Nakhasi as Members-at-Large. Board Members will take office on May 3, 2016, in Salt Lake City, Utah, USA, at the 107th AOCS Annual Meeting and Expo. Continuing to serve on the Board are Treasurer, Doug Bibus, Manfred Trautmann as Immediate Past President, and the following Members-at-Large: Eric Decker, Carol Lammi-Keefe, and George Smith. Will a stick of butter a day keep the doctor away? Contrary to popular opinion about the dangers of dietary fat and saturated fat in particular, high-fat ketogenic diets (KDs) have been shown to have favorable effects on cardiovascular risk factors. This month’s feature article from Inform magazine reviews mounting evidence that KDs may also have therapeutic effects in epilepsy, diabetes, cancer, obesity, and neurological conditions such as Alzheimer’s and Parkinson’s disease. All Quality Reference Samples will be 25% off during the month of February. Stock up while supplies last! Use promo code QRMSALE at checkout. Valid through February 29, 2016. Note: this sale does not include Certified Reference Materials. The session, Challenges and Opportunities Across the Global Food and Agricultural Supply Chain, will take place during the 107th AOCS Annual Meeting & Expo. View the tentative program schedule (PDF) and register today. Now Accepting Technology Showcase Abstracts! Have exciting research to share? This new program is the perfect platform for industry professionals to share their latest research and will feature a combination of invited and volunteer video presentations in the areas of consumer, product, supply, and technology. Be a part of this innovative approach to sharing technical discoveries! Submit now. Don't Miss Your Chance to Get Recognized! The 107th AOCS Annual Meeting & Expo is fast approaching. Don’t miss your chance to be recognized by your colleagues for your support of the AOCS Foundation! Learn more about how AOCS recognizes donors who support the development of new products and services. Donate today to ensure you have your lapel in time for Salt Lake City! Editor-in-Chief Eric J. Murphy’s pick for the Lipids paper of the month indicates that n-3 polyunsaturated fatty acids in the diet impact adipocyte size in male but not female mice. Kayode A. Balogun and Sukhinder K. Cheema from Memorial University in St. John’s, Newfoundland, Canada, showed that male mice fed a high n-3 diet have reduced expression of the FABP-4 and DGAT-2 genes. This suggests reduced trafficking of fatty acids into adipocytes and decreased formation of triacylglycerols, accounting for the observed reduction in adipocyte size. “This paper provides additional insight into the complex role of n-3 fatty acids in modulating obesity and possibly other co-morbidities, such as metabolic syndrome and type-2 diabetes,” says Murphy. The article will be available online free of charge, until March 20. JAOCS, JSD, and Lipids owe their success to the efforts of our volunteers. AOCS Press is grateful to our volunteer editors and reviewers who contribute their expertise to the time-consuming task of peer reviewing the papers that are submitted to our journals. For the next few months, we will be featuring an online Wall of Fame (PDF) as a thank you. This month, we recognize the 650+ editors and reviewers of JAOCS. In 2015, JAOCS published nearly 200 articles and received a record number of original submissions. We look forward to their contributions as reviewers again in 2016. Hosted by the Northeast Agricultural University, this conference will disseminate information on soybean technologies, including the most recent research and field advances to the international soybean counterparts. The conference will provide a platform for scientists and industry experts to share ideas, innovative technologies, and predictions for the development trends of important issues affecting the soybean industry. Organizers are currently accepting volunteer abstracts. Visit the website for more information or to submit your abstract. The International Sunflower Association and the Trakya University are organizing the symposium to present subjects on global sunflower seed and oil production, industry, processing, and trade. The symposium is being held in conjunction with the 19th International Sunflower Conference, May 29 – June 3, 2016. Volunteer abstracts for the symposium are being accepted through February 26, 2016. Complete details can be found on the conference website. Please take a minute to vote for the next Chair, Vice Chair, and Secretary-Treasurer of any Divisions of which you are a member. If you have any questions or did not receive the email(s) containing the ballot links, please contact Elizabeth Garard. Ballots must be cast by 20:00, USA Central Time, Monday, February 29, 2016. 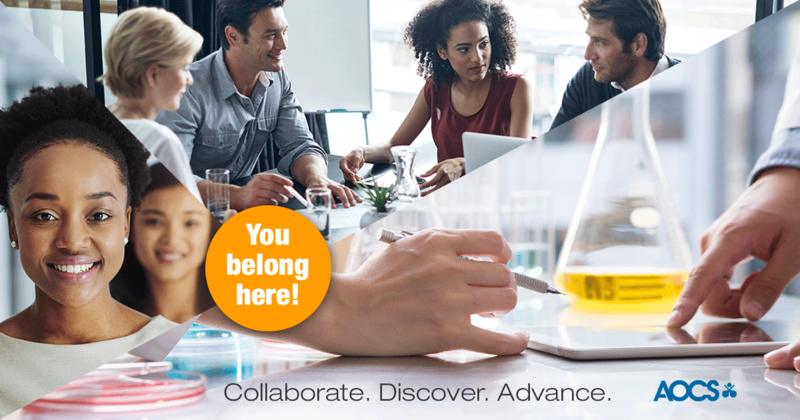 Division membership offers opportunities to collaborate with like-minded professionals. Visit our website to learn more!